Once a year YLAC members and Hartford Hospital and Hartford HealthCare leadership come together for breakfast and an open discussion about a range of topics. The members-only event is an opportunity for YLAC members to give hospital leaders feedback and for hosptial leadership to discuss the healthcare system’s role in the community and the industry. 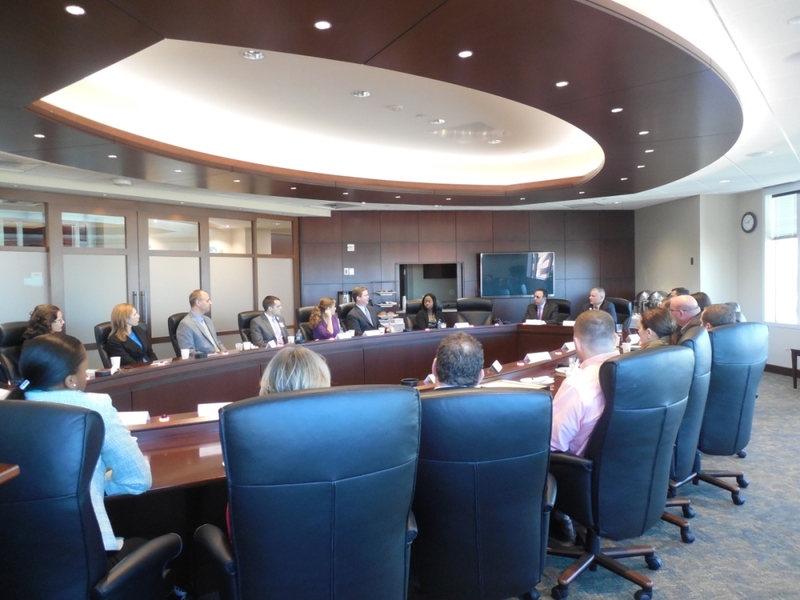 YLAC members also have the chance to meet with hospital board members and hospital leadership over the course of the year to discuss topics such as board service or current healthcare topics. Three to four Lunch & Learn programs are held on campus with a Hartford Hopsital leader, e.g. administrator, clinician, Corporator, community partner. YLAC’s signature fund-raising event is Spring Into Action. Held in the spring each year, the event benefits a hospital program chosen by YLAC's Executive Committee members. In 2017 YLAC presented a check for more than $25,500 to Hartford Hospital’s Grace S. Webb School at the Institute of Living to assist in the purchase of a student outreach service vehicle. The money was raised through ticket sales, a silent auction, and donations. A special thank you to our many generous sponsors!